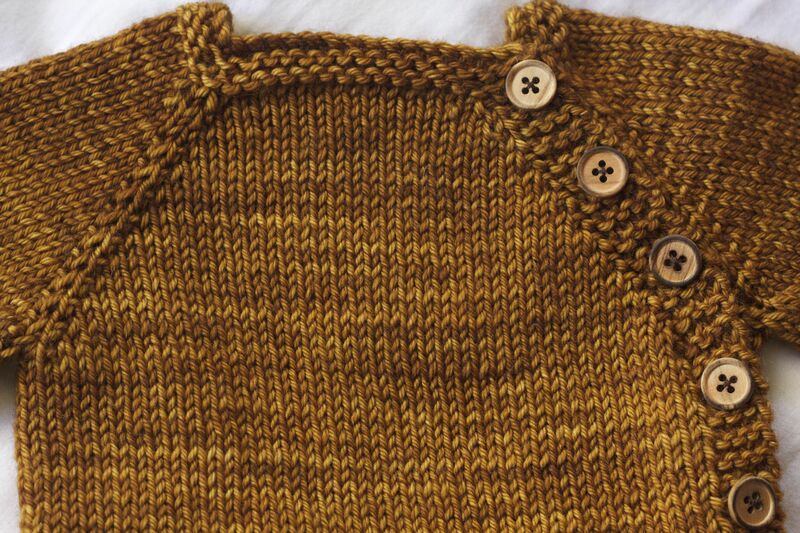 Since I’m heading to a couple of baby showers in the coming weeks I was particularly keen on some of the Yarn Harlot’s blog posts about baby knits. 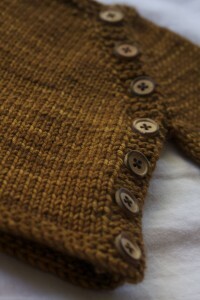 I’m always a big Yarn Harlot fan and if you haven’t checked out her blog, I do recommend. It’s a knitting humour blog, if I had to pick a category, but it’s often about so much more (but pretty much always funny). 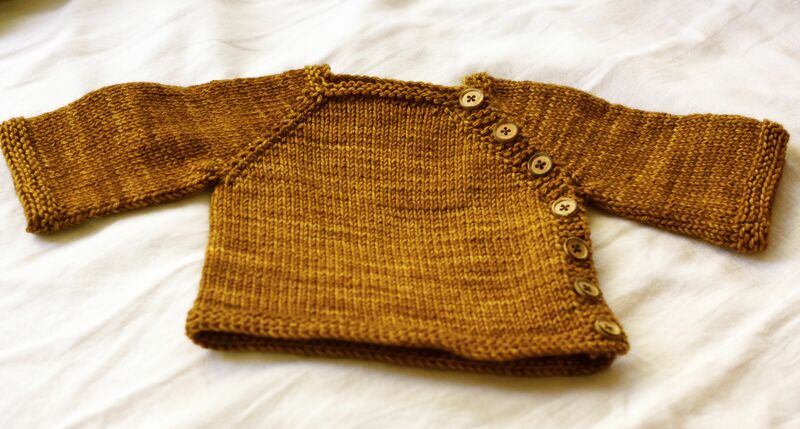 She was knitting up a storm for a friend and I immediately wanted to make and adorable little Puerperium sweater just like hers! I called this one Peanut Butter Cup for obvious reasons. The colour of this lovely Tosh DK is called Glazed Pecan but I really just thought about peanut butter the whole time I was knitting. The greatest thing about this teeny tiny sweater is that I knit it up in just 2 evenings! It took only 1 ball of the Tosh DK (a washable yarn, just in case) and it’s probably the most adorable thing I’ve ever knit. This version is the free newborn edition (which you can find here on Ravelry) but I would recommend the Beyond Pueperium pattern (here) as well, I’m working on a worsted weight version for Hunter in some funky green….I’m thinking skull and crossbone buttons just to make it a little edgier. This entry was posted on Monday, October 17th, 2011 at 8:45 pm	and is filed under Uncategorized. You can follow any responses to this entry through the RSS 2.0 feed. Both comments and pings are currently closed.